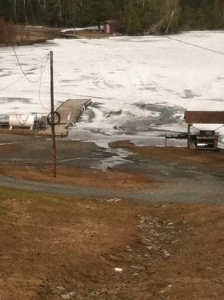 Our latest picture of the dock on Crow Lake…and yes that is water sitting around it. 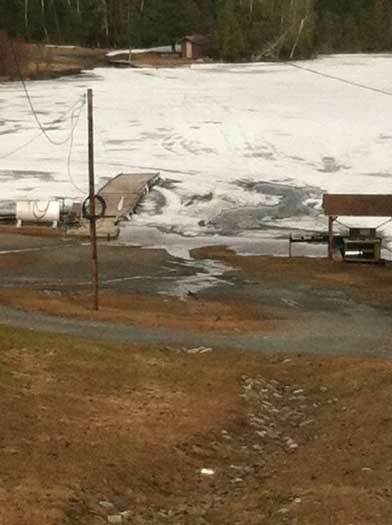 From all reports Lake of the Woods is deteriorating at a pretty rapid rate and it is starting to let go at shore. 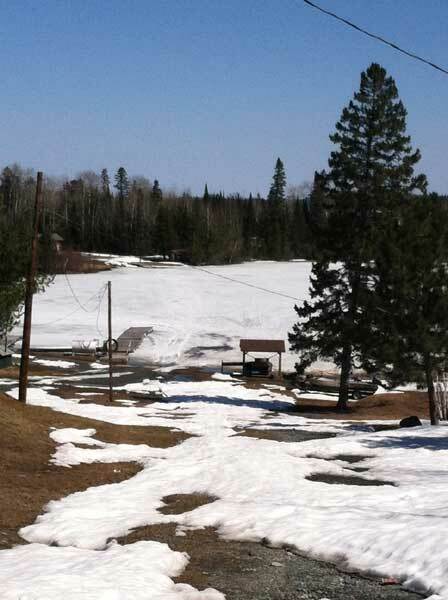 Crow Lake has gotten really slushy over the last few days. We’ve had another cold front roll through here and wind is howling but that wind hacks away at the ice too. Rain has done it’s job as well. We’re a little ahead of where I thought we’d be and with a little luck we’ll only be a week late. 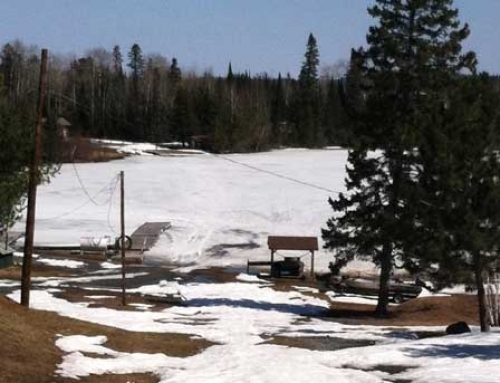 Crow Lake Update. First of the Year.